A traditionalist for the ages, Melba Montgomery’s career as a singer and songwriter spans several decades. From early on, it was announced that Pickler’s third album would more closely reflect the sound of the traditional country music that is closest to her heart, with Pickler claiming to have made the album “as country as I was allowed to make it.” The bouncy steel guitars chords of opening track “Where’s Tammy Wynette,” and opening lyrics “While I’m torn between killin’ him and lovin’ him/ He stays torn between neon lights and home” quickly announce that Pickler is not kidding. Does that mean that the album is a retro effort? Not necessarily. Rather, Pickler and her producers Frank Liddell and Luke Wooten effectively craft a sound that gives a respectful nod to country music’s past while simultaneously making tasteful use of modern sounds. 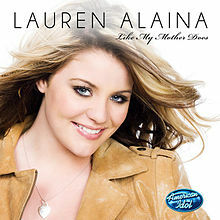 Thus, the album carries a strong traditionalist bent, but sounds vintage without sounding dated, demonstrating that it is indeed possible to create a fresh and modern contemporary country album while still maintaining a strong connection to the traditions of the past. I was in my early teens when I first discovered Sara Evans… and I thought she was the greatest thing since sliced bread. The rich throaty texture of her distinct voice reeled me in quickly, and her entertaining mixture of traditional and contemporary influences had me thoroughly hooked. Sometimes, finding music outside the mainstream is like trying to find a needle in a haystack. There’s just so much music out there that it can often seem overwhelming to find something new, or at least new to me. However, as a constant and compulsive music consumer, it’s a task in which I eagerly indulge. There are, of course, a myriad of ways to discover music, including the simplest way these days, the internet. But a process, a place to start, is still necessary in order to avoid overload.